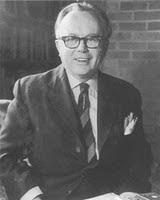 The Russell Kirk Center for Cultural Renewal is a nonprofit educational institute based in Mecosta, Michigan, home of the American writer and thinker Russell Kirk (1918–1994). Continuing in the tradition of Dr. Kirk, the Center’s mission is to strengthen the foundations—cultural, economic, and religious—of Western civilization and the American experience within it. Its programs and publications have a particular focus on moral imagination and right reason. They celebrate and defend the “permanent things”—all that makes human life worth living, particularly the bedrock principles that have traditionally supported and maintained the health of society’s central institutions: family, church, and school. The Center’s efforts are directed at students, business and religious leaders, policy makers, and the general public. It identifies, educates, and mentors thoughtful men and women, and develops and promotes the writing of both established and emerging thinkers. The Center also seeks to further these aims through cooperation with people and groups worldwide that are committed to revitalizing our common cultural inheritance. To these ends the Center offers an unrivaled program of seminars and unique facilities for the support of undergraduate, graduate, and senior residential fellowships. A detailed portfolio of Russell Kirk's work can be found at the following link: Writings of Russell Kirk.